The concept of maraka (death inflicting) planets has created confusions and fears. People have become scared of the operating periods of the so called maraka planets. This concept evolved from Chapter 44 of the Brihat Parashar Hora Shastra in which the third and eighth houses are mentioned as houses of life. This chapter also mentions that the houses twelfth from the third and eighth houses (meaning thereby the second and seventh houses) act as maraka houses. It also mentions that the lords of these houses and the malefic planets associated with the lords of the second and seventh houses or the malefic planets placed in the second and seventh houses will act as maraka planets and are likely to bring death depending upon the span of longevity. Based on these principles, when an astrologer tells an inquirer that the latter is running the main or sub period of a maraka planet, the inquirer gets scared. Using these two points of the maraka concept, we see a number of planets becoming maraka planets in some of the horoscopes. The fundamental point regarding the concept about the houses of longevity is right. The other point regarding which planets are malefic needs a deeper look. In my view and experience the malefic planets here mean the functional malefic planets. If the mooltrikona sign lords of the longevity houses and the determinant of longevity are strong, one is blessed with a good or full span of life. The mooltrikona sign lord of the ascendant is a prime determinant of longevity. The strong planets in the birth chart add an advantage to the longevity determinant planets. An early death can occur during the sub periods of the afflicted and badly placed weak planets if the planets ruling longevity are weak. The prolonged transit influence on such afflicted and badly placed weak planets threatens the longevity further. My empirical studies indicate that this hypothesis is correct. I went through the horoscope and found that there was nothing of the sort. His son was in the sub period of Ketu placed in the third house in the main period of Venus. 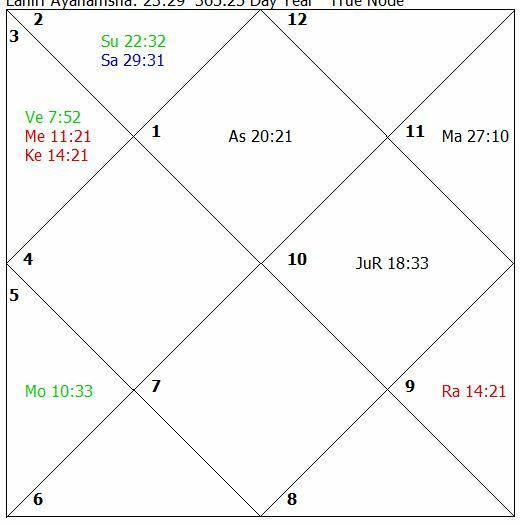 Ketu was neither near the most effective point of the house nor it was close to Mercury and Venus placed in the third house. I said that there was no worry. His son will live long and no problem will come to him during the operation of the sub period of Ketu in the next one year. The gentleman gave a sigh of relief and left after thanking me. He said that the astrologer, who told him about the maraka planet sub period, had to leave for a while but when he returned this gentleman would tell him not to scare people on such half baked knowledge. This astrologer had left to attend the last rites of his elder brother. Unfortunately, this astrologer also died there. During the entire sub period of Ketu, the said maraka planet, I had to repeatedly ensure the gentleman that there was no fear of death or trouble for his child. The sign Aries rises in the ascendant in the horoscope. The Sun, Moon, Mars, Jupiter, Venus and Saturn are benefic (favorable) planets. Mercury, Rahu and Ketu act as functional malefic (unfavorable) planets. Jupiter acts as a Sun-like planet. Sun, Venus, Moon and Mercury are strongly placed in the birth chart. Mars is well placed but weak due to old age. Saturn is well placed but is weak due to old age and combustion. Jupiter is well placed but is weak due to debilitation. The functional malefic planets do not cause close afflictions and no planet is placed in the malefic houses. This person was a medical student and pursuing the degree of MBBS. Later he obtained the degrees of MD and DM. 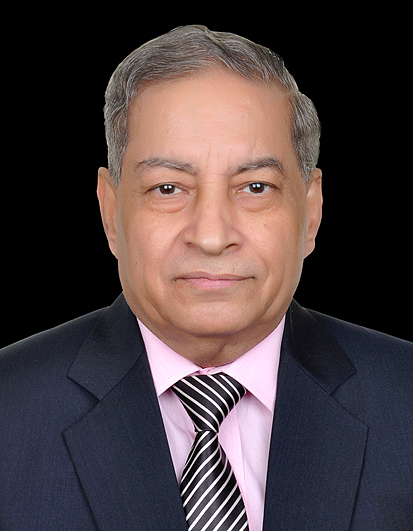 The strength of the Sun, Moon and Venus helped him in attaining these degrees and being appointed as a consultant in a super-specialty hospital in New Delhi, India. He is married and blessed with children and is enjoying happiness in life. The main periods of the Sun, Moon and Mars brought many attainments for this person.